The Sakura Decorese features water-based and pastel-colored ink that can be used on light and dark papers, glass, metal, photos and plastic. The ink is paint-like and has a raised effect after it dries. Available in 10 pastel colors. 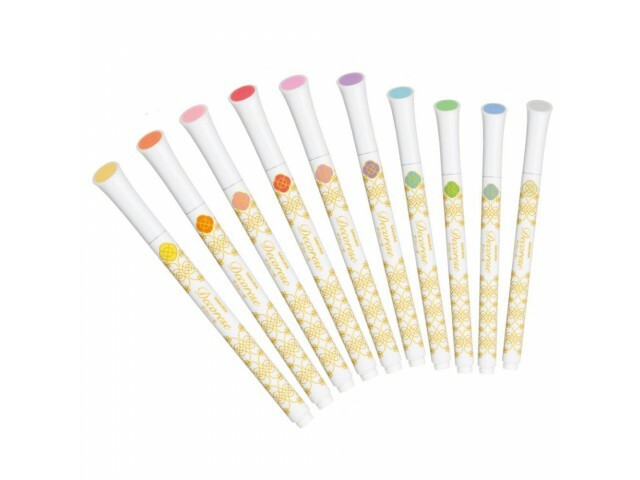 This set contains 5 colors: Pastel Blue, Pastel Mint, Pastel Orange, Pastel Pink, and Pastel Red.